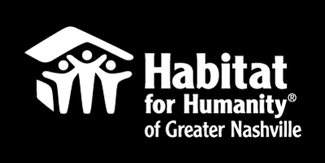 Learn more about how the Habitat program works, the qualifications, the application process, and about the homes we currently have available. Meetings are regularly scheduled in Nashville and in Lebanon (Wilson County). Occasional meetings are scheduled in Dickson and Cheatham Counties (see the tabs above); if you are interested in these Counties and no local meetings are currently available below, we encourage you to attend a Nashville meeting. You will not be allowed to attend if you arrive more than 10 minutes late. The meeting will last 60-90 minutes. You must attend the full meeting to receive credit for attendance which is needed should you decide to apply or have applied recently. You will indicate below how many people you are bringing to the meeting from your household and anyone you are bringing to assist you (such as a translator). A max of three people per sign up is allowed. If you have friends from other households who are interested, they should sign up separately. You will receive an email reminder, if you enter an email address. You will receive a text reminder, if you opt in to text messages through Sign Up Genius.